I've been able to sort out all the open ends with the bike and that has been exciting... But today I messed up a bit. In the process of installing the standoff bolts for the highway pegs, I was precisely going for the 45 Lbs-Ft torque and after I realize the standoff bolt was spinning freely. At first i thought I was messing up the aluminum standoff bolt but in reality I stripped the radiator bracket, which the engine mounts to it. I honestly was never able to even hit 43 Lbs-Ft, so I am not sure how that happened. 1. 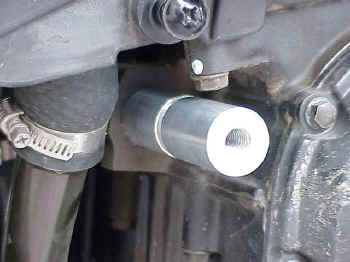 Has anyone stripped the same thread and tried to put a nut on the end of the bolt and torque it? It is very tight, I am trying to locate a low profile nut. I believe it is a 10mm x 1.50 pitch. I am hoping someone has achieved this so I know for sure I am hunting a viable solution. 2. If the nut option is no go, I suspect the only thing to do is to replace the radiator bracket. Could someone tell me good news about that? It would be amazing if someone would come here and say that it is a easy replacement and that I wont even need to disconnect any radiator or coolant hoses. The opposite scares me a bit. Myself and the Purple Rain machine are thankful. Get your tools out. It's time consuming but not difficult. Not very familiar with the fairing stay and what that threaded section looks like but would a helicoil work there? Not much to lose trying the helicoil. Not a bad idea, BUT the engine flange is in the way of the radiator bracket... so in order to access the stripped thread I would need to remove the radiator bracket regardless so at that point I think it is better to just replace it. Look here. 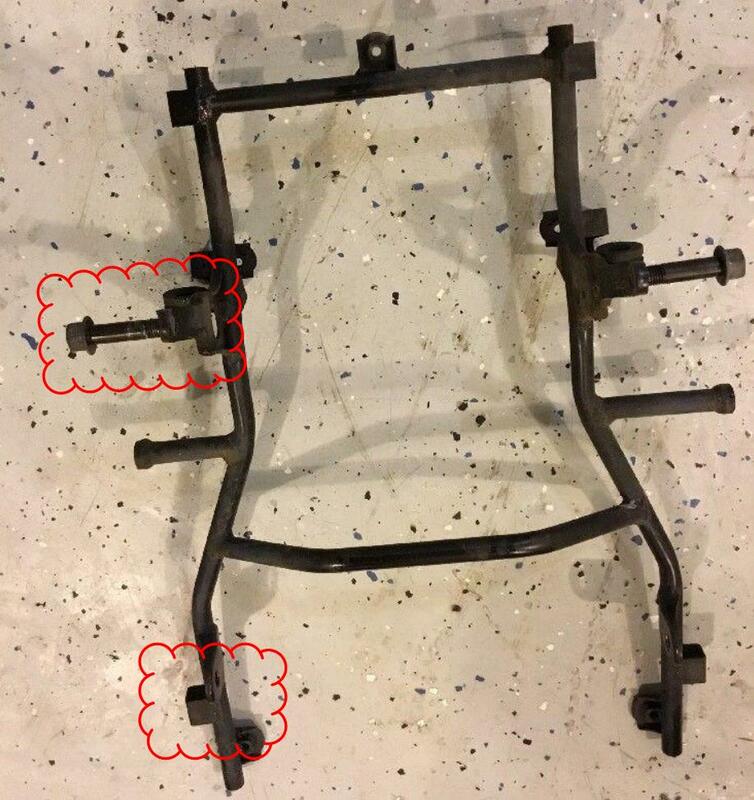 Might find the subframe.